The chambers that form the Northern Virginia Chamber Partnership—Dulles Regional, Greater Reston and Loudoun County—have announced shared priorities for the 2016 General Assembly session, which include workforce development, K-12 investment and economic development issues. Representing 2,800 businesses and 100,000 jobs, the Chamber Alliance is taking on the role as “Voice of Business” in the region. 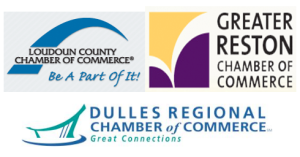 The Partnership chose its focus for 2016 by identifying the areas that provide the greatest opportunity to promote a strong, pro-business environment to enhance Virginia’s and the northern Virginia region’s economic competitiveness, cultivate growth in all segments of the economy, and ensure adequate access to critical business infrastructure and resources. Barry Sawayer, CEO at Trinity Video Communications says, “I am proud to operate a business in the northern Virginia area, and pleased to hear of the renewed focus of the region’s chambers. I fully support their unified effort in helping businesses succeed in this area.” Trinity Video Communications is headquartered in Louisville, KY, and has an office in Sterling, VA.
Trinity Video Communications is an audiovisual and video communications company that provides clients with state-of-the-art technologies that transform the way they communicate, interact, and do business. Trinity also provides real-time unified communications to many government agencies, including law enforcement agencies at the federal, state, and local levels responsible for mission critical initiatives. In addition to its Louisville, KY, and Sterling, VA locations, Trinity Video has sales and engineering representatives in Cincinnati, OH, and Nashville, TN. For more information, call 800-261-9008.